1) Area control! 40 Bloodreavers on 32mm bases take up a considerable amount of room on the battlefield! 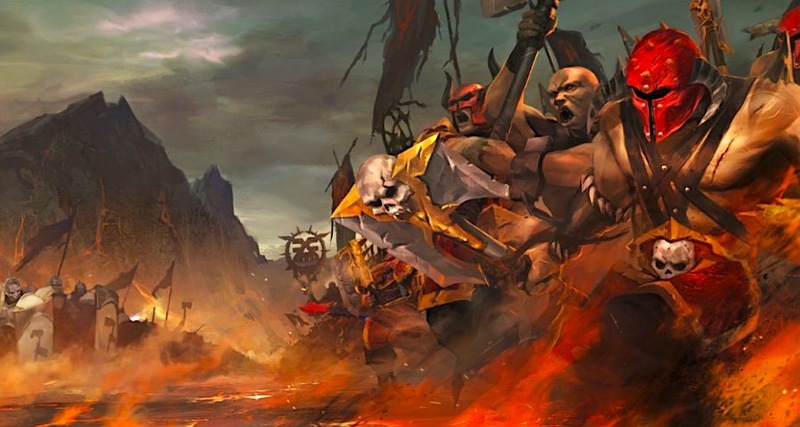 While your Bloodthirsters and Wrathmongers are scooting across the table, your Bloodreavers are a cheap way to lock down objectives on your side. We’re all having fun playing, but your opponent is going to have to get real mean to take out 40 Wounds of Reavers in short order, or you’ll just bring in all the points! 2) Bloodreavers are secret killing machines! 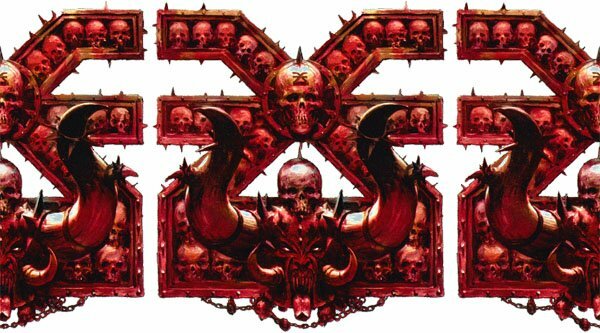 Aspiring Deathbringers, Bloodsecrators, and any totem (Chaos Warshrine and Bloodsecrator) all have the capability to give them extra attacks. It’s very easy to get to 4 attacks per model; and the mass of attacks alone can take out things you wouldn’t think they could otherwise! 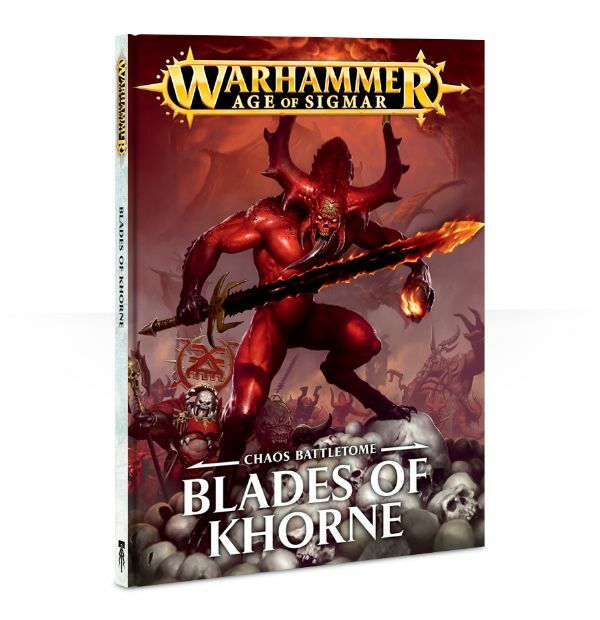 3) Parking a Chaos Warshine near Bloodreavers has the potential to give them a 6+ save against Wounds! And a prayer from the Shrine like Killing Frenzy or Bronzed Flesh popped on the ‘Reavers is icing on the cake! Chaos Warshrines and Bloodreavers were just ment to live in perfect symbiosis. And they do. 4) Bloody Tar Pit! 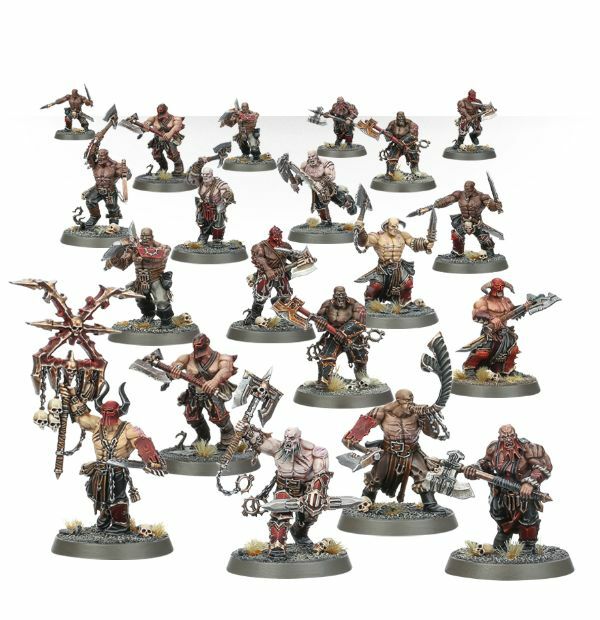 Bloodreavers are going to be immune to Battleshock thanks to your Bloodsecrator, so a unit of 40 of these dudes stuck into an opponent’s threat is an amazing tar pit! 5) Dirt Cheap. Bloodreavers are only 240 points for a full group of 40! This is outstanding value for what they can provide, especially where you take all of the synergies they are a part of into consideration. Strong rules! Great points! Sweet models! What more could you ask for? The next time you slot these fellows into Gore Pilgrims or just as a cheap Batteline, consider taking them in droves to frustrate your opponents and taking over control points on the board! ~ How are you using Bloodreavers to bring glory to the Brass Throne?